The Villages is a resort townhome development built along the Francis I'i Brown Golf Course of the world-renowned Mauna Lani Resort. Villa features include gourmet center-island kitchens with bar seating, luxurious bathrooms, spacious bedrooms and a large covered lanai (deck). Each villa is equipped with a built-in wet bar, under-counter refrigerator and a gas grill for luxurious outdoor dining. 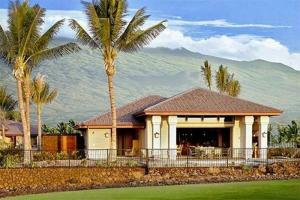 Located on the Big Island's Kohala Coast.